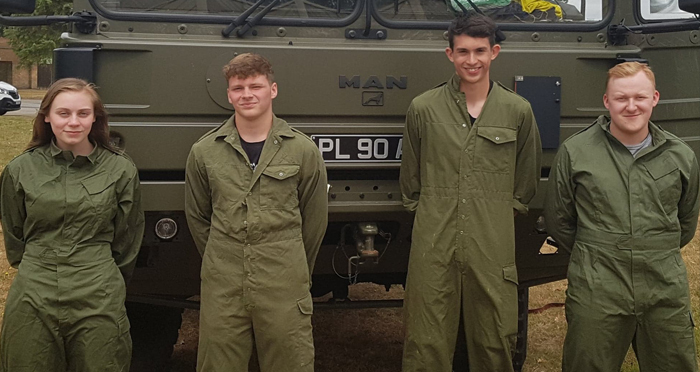 Another group of Reliance apprentices have taken part in this year’s Army Engineering Challenge hosted by the Royal Electrical & Mechanical Engineers (REME). Designed to challenge their engineering and design skills, the course entails theoretical and practical training with a focus on technical design, team building, project management and personal development. Taking part in the four day residential course at the Queen Elizabeth Barracks in Strensall, York, were Zak Bell, Nicole Le Talbot, Finlay Browne and Ashley Scott. The course concluded with a ceremony with each team presenting their weapon, explaining the reasoning behind the design and how they had manufactured it. It was then the moment of truth, as each weapon was fired at the target. The team containing Zak and Finlay were awarded winners of the Challenge, as their solution not only hit the target, but was deemed to be the most consistent and reliable design. More information on our apprenticeship scheme.